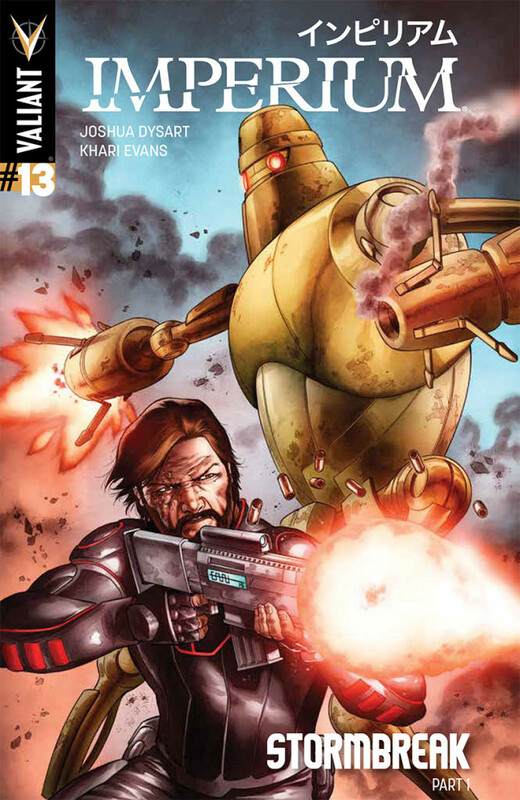 As revealed on Comic Book Resources, Valiant is proud to announce “STORMBREAK” – a four-part jumping-on point and crucial new milestone for the Valiant Universe beginning in IMPERIUM #13! Reuniting the acclaimed creative team behind HARBINGER, jump on board here with a brand-new story arc as New York Times best-selling writer Joshua Dysart (HARBINGER WARS) and Harvey Award-nominated artist Khari Evans (Immortal Iron Fist) re-team for an essential new chapter of the series that will leave Valiant’s most notorious villain changed forever! 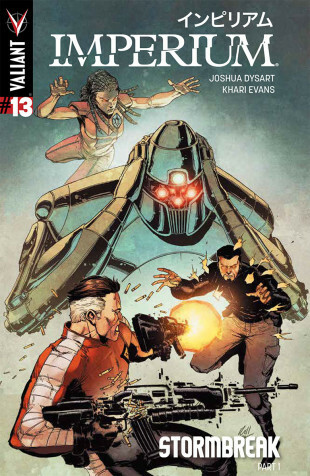 Toyo Harada’s war for utopia is about to come to a brutal boiling point…and now two of the Valiant Universe’s most formidable forces – UNITY’s former team leader and psiot technopath, Livewire, and Project Rising Spirit’s tech-augmented strike force, the H.A.R.D. Corps – are about to the lead the front line of a no-holds-barred attack on Harada’s revolutionary team of monsters and malcontents! 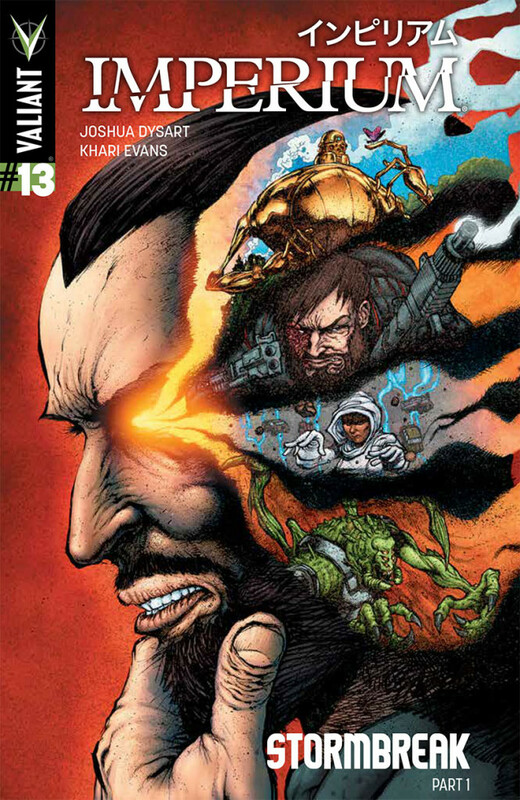 Toyo Harada will save the world…if he doesn’t doom it first. The revolutionary disruption that Harada and his team have launched – by deposing tyrants, housing refugees, and feeding the poor – has come at the expense of the world’s wealthiest nations. 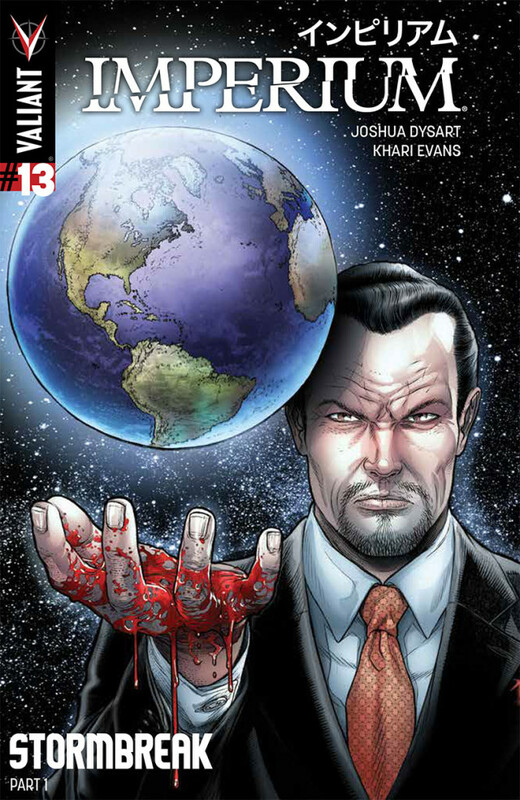 When the planet’s leaders have had enough, it will be decided: Toyo Harada must die. Now a crack unit of operatives will stand against Harada on the global stage…with his own former pupil Livewire taking him head-on! Meanwhile, Harada’s military lieutenant and Project Rising Spirit defector Gravedog is about to meet his match as the H.A.R.D. Corps’ own Major Charlie Palmer drops into the firefight of a lifetime! This February, war comes raging back to Toyo Harada’s own doorstep for “STORMBREAK” in IMPERIUM #13 – featuring covers by all-star artists Robert Gill (BOOK OF DEATH), CAFU (UNITY), Clayton Henry (HARBINGER WARS), Ryan Lee (Uncanny Inhumans), and Juan Jose Ryp (NINJAK)! 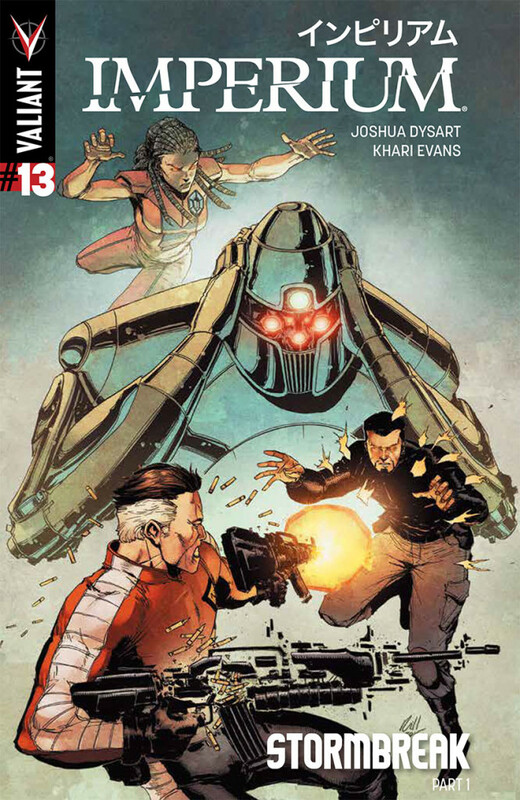 Join the series that Bloody Disgusting calls “the height of sophisticated comic book stories” right here as Joshua Dysart and Khari Evans – the Harvey Award-nominated team behind HARBINGER – pit the Valiant Universe’s most notorious superteam against the agents of the very system they’ve sworn to overthrow, beginning in IMPERIUM #13! For more information, visit Valiant on Facebook, on Twitter, on Tumblr, on Instagram, and atValiantUniverse.com. $3.99 | 32 pgs. | T+ | COMING IN FEBRUARY!